A Stunning wedding couple, salty waters and wet kisses onboard a white archipelago boat - That is how we do weddings in Bohuslän. Find out more about our wedding boat! Enjoy a day cruise this summer! Tag along on an adventure on Bohusläns salty waters. Spend the whole day out on the sea onboard our mothership m/s Byfjorden. Find yourself a seat on deck or inside the boat and we will serve you delicious food and tell you all about what views it is that we are chugging past. Tag along on an evening adventure on Bohusläns salty waters. Spend the evening out on the sea onboard m/s Byfjorden. Find yourself a seat on deck or inside the boat and we will serve you delicious food and Bohuslänska delicacies such as seafood. The archipelago along the trip - wow!! Enjoy newly caught world class seafood, during an evening cruise onboard m/s Byfjorden. 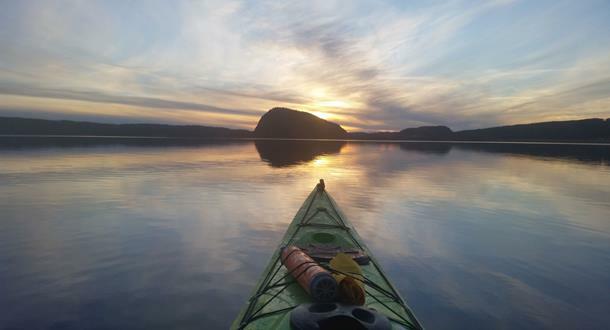 Every Wednesday from the 23rd May – 26th September* at 18.00 we chug out from Uddevalla as dusk lowers over Uddevallas calm archipelago. 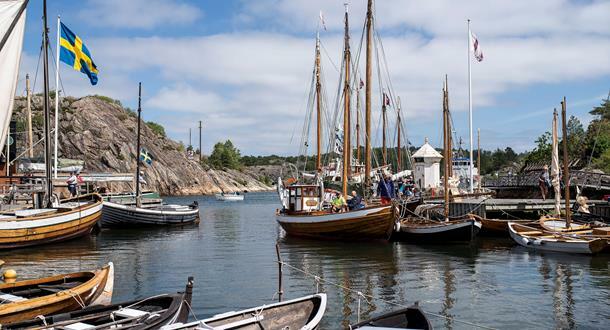 "The seafood were absolutely delicious"
We say that Uddevalla is the heart of Bohuslän, not just because it's the biggest city in the county but also due to the fantastic geographical location we hold, meaning that, within a close stretch we can offer the best of Bohuslän. You will find Käringön on the outskirts of our archipelago, sheltered by Måseskär's lighthouse. 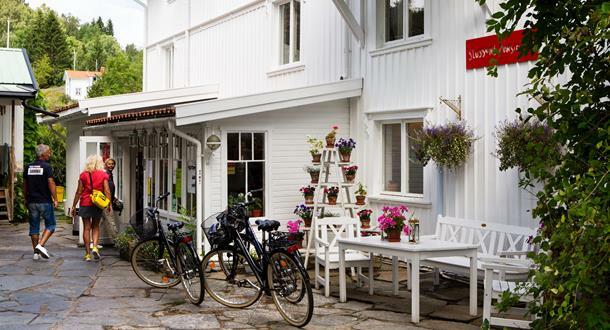 Käringön offers a vibrant community and visitors from all over the world come here all year round to enjoy the heavenly food and to relax. 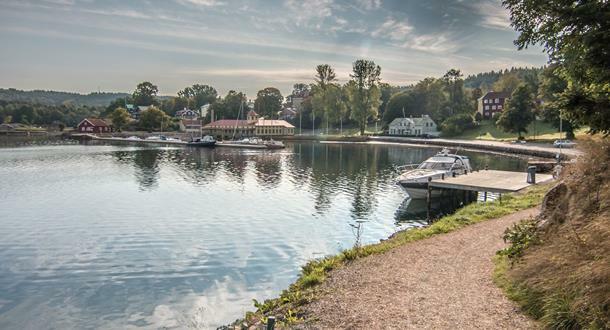 Gustafsberg is Sweden's oldest sea- and health resort dating back to the 18th century. This nature reserve is beautifully situated by Byfjordens bay and has a very exciting history and beautiful architecture to offer. 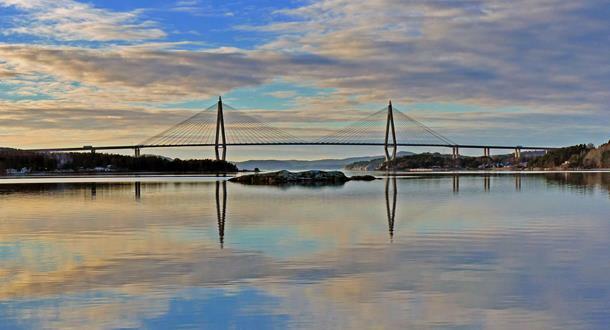 Ljungskile is located south of Uddevalla, beautifully situated between the sea and the mountain. Here you will find, among other things, the spa resort Lyckorna with wonderful views of the seafront. 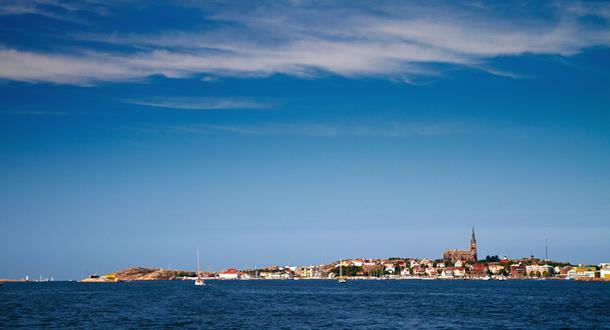 Lysekil offers something for everyone – from crazy golf and cozy shopping to the nature reserve Stångehuvud, from the art gallery to the beach huts cooling ice cream. You will find Slussen (the sloice) on the island Orust situated beautifully down by the shoreline with a stunning view overlooking the bay. 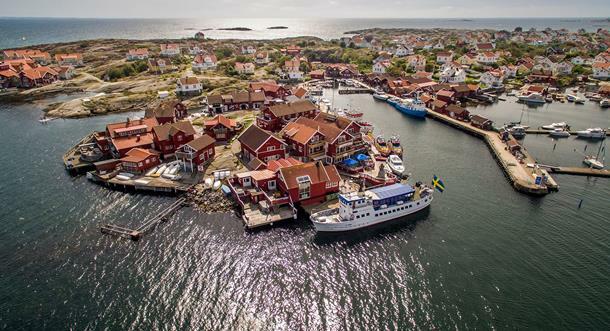 Bassholmen is an idyllic little car-free island, near Uddevalla, Orust and Lysekil. 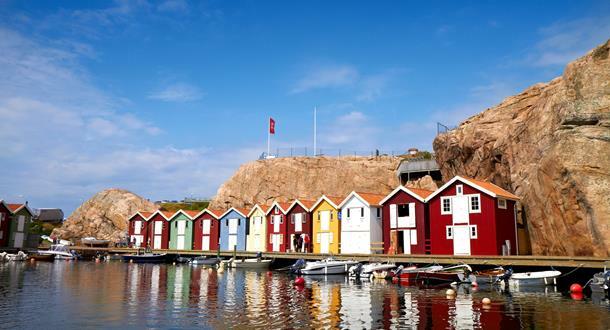 Bassholmen is located in the middle of the beautiful Nordströmmarna, which is said to be one of the world's best waters to paddle in. 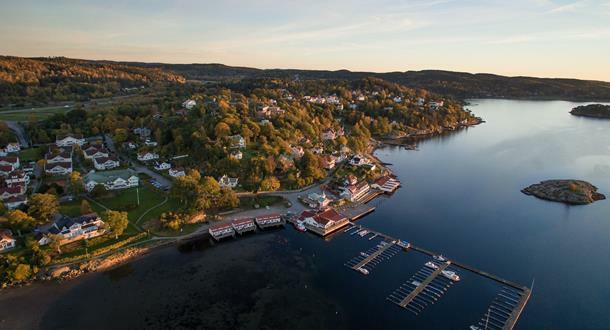 In Bokenäset you will find blue-gray rocks by the sea, sandy beaches by the fjords and a rich cultural landscape with ancient memories of the past.